On November 15, 2008, the chair of the cultural committee, Manuelita Gallegos Garza and engineer Ramón Garza Barrios, warmly inaugurated the Galleria del Espacio Cultural de la Antigua Aduana. Complete with a ribbon-cutting ceremony, Hasta La Basura Se Separa [artcrush] ushered in a new chapter of contemporary art programming for the city of Nuevo Laredo’s cultural center. In a homecoming presentation, Hector Hernandez invited co-curators Salvador Castillo and Michael Anthony García to organize an exhibition in the expansive space of the Antigua Aduana. Together as Los Outsiders, they organized the work of 15 contemporary artists from Texas, New York and Utah. The artists in this exhibition, Robert Boland (Austin, TX), Jaime Castillo (Austin, TX), Hunter Cross (Austin, TX), Michael Anthony García (Austin, TX), Katy Heinlein (Houston, TX), Hector Hernandez (Austin, TX), William Hundley (Austin, TX), Kathy Kelley (Houston, TX), Michelle Mayer (Brooklyn, NY), Eduardo Muñoz (Austin, TX), Teruko Nimura (Austin, TX), Jared Steffensen (Salt Lake City, UT), Jade Walker (Austin, TX), Mike Womack (Brooklyn, NY) and Eric Zimmerman (Austin, TX), consist mostly of sculptural and installation practices. With a special emphasis on found objects and the use of recycled materials these artists relate the identity of objects, whether in their present states, altered or how they are represented in images, to their individual connotations as well as their shared meanings. As this exhibition was conceived specifically for Nuevo Laredo, the artists mix their personal memories with our greater cultural histories creating different levels of site specificity to their sculptures and installations. Hector Hernandez, a native of both Laredos, presents an annotated narrative of a local park turned playground turned parking lot using one of the actual felled basketball goalposts. Jared Steffensen and Eric Zimmerman continue their previous investigations of landscape and architecture respectively, but also take into account their placement within the gallery. Jade Walker and Mike Womack created new work reacting to the architecture and in response to physically observing the Antigua Aduana. Eduardo Muñoz’ photographs are layered with personal, family photographs that double as Cuban/Communist political documentation, but it’s the architectural elements within the collaged images that relate to the Antigua Aduana’s recent restoration/renovations. Robert Boland’s sculpture and videos are not site specific, but the proximity to the Rio Bravo/Rio Grande warrants contemplation. Hunter Cross includes a nuanced effort that touches on the seasonal timing of the exhibition, the Aduana’s history as a warehouse, US-Mexico immigration relations and US military “mass detention centers”. Consolidating the histories of the materials, the artists, the gallery and the city itself, Hasta La Basura Se Separa [artcrush] pushes the viewer beyond what has already transpired. Waste is no longer a discarded remnant, memories have not faded into obscurity, architecture has not been forgotten and life has not ended. Instead of lamenting shifting realities, this group takes the products of transition and rebuilds looking toward tomorrow. New objects, new structures and new relationships take form and renewed hope becomes possible. 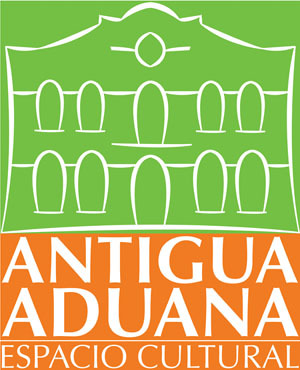 The Antigua Aduana Cultural Space is located at the intersection of César López de Lara and Arteaga, Nuevo Laredo, Tamaulipas, Mexico. Hasta La Basura Se Separa [artcrush] will be on view through January 16, 2009.